ClienTrax online data backup and storage is the fast, easy and secure way to backup your business data as well as provide additional digital data storage. For file that change we store a copy of each of the last 14days, 12 months, 4 quarters and 7 years. 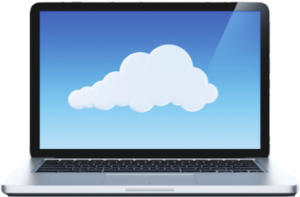 Automatic cloud storage enables you to safeguard all your data, including digital imaging files, through a flexible and secure cloud backup platform. Additionally, data will be more secure during transit between your colleagues and partners. Why do I want to use ClienTrax for my backup services? In a crisis event, think of ClienTrax as your business safety net. Our technicians will work alongside you to help retrieve your lost data and files. ClienTrax Cloud Services provide you access to the latest technology without the need of additional storage systems or added IT personnel. Contact us today and see why you’ll feel more secure with us. ClienTrax has a variety of packages to meet your needs. Prices begin at $28/month. © Copyright ClienTrax 2017. All Rights Reserved.